Jordy Smith (ZAF) has taken out the 2017 Rip Curl Pro Bells Beach in a thrilling Final against Caio Ibelli (BRA). This result rockets Smith to No. 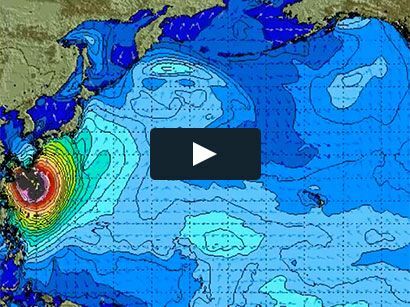 2 on the WSL Jeep Rankings as he now shifts his focus to the next event in Brazil. BELLS BEACH, Victoria/AUS (Wednesday, April 19, 2017) – Jordy Smith (ZAF) has won the Rip Curl Pro Bells Beach today after electric performances in pumping six-to-eight foot (2 – 2.5 metre) conditions at the iconic venue in the Australian State of Victoria. Smith bested fellow Finalist Caio Ibelli (BRA) in a classic Bells Beach showdown to close out the Australian leg. The third stop of the World Surf League (WSL) Championship Tour (CT), the Rip Curl Pro Bells Beach, is the longest-running professional surf event in the world. 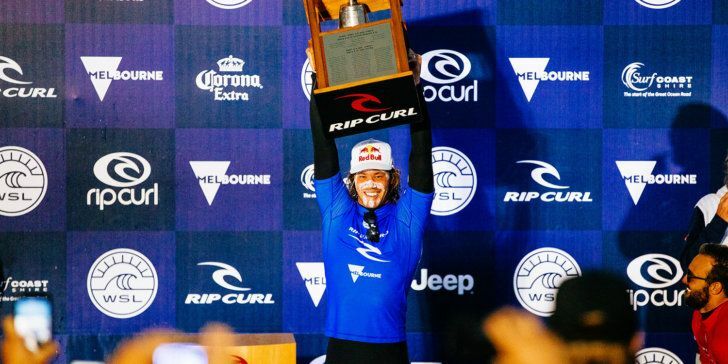 This year’s 56th iteration saw a competitive field of elite surfers throw down their best performances with Smith earning the right to ‘ring the Bell’ for the first time in his career. Smith secured his sixth Championship Tour win today following a series of heated match-ups against Ibelli, 2017 CT Rookie Ezekiel Lau (HAW) and 2015 WSL Champion Adriano de Souza (BRA). The win marks Smith’s best result here at Bells, following his runner-up finish in 2016, and moves him up to World No. 2 on the Jeep Leaderboard. Ibell’s runner-up finish is his career-best result on the elite CT. The 2016 Rookie of the Year showcased a new level to his surfing with powerful, high-risk maneuvers to take out a tough field of challengers in final series. In his first time competing at Bells last season, Ibelli eliminated John John Florence (HAW) in Round 3. In a Semifinal rematch, Ibelli took out Florence once again to earn his first Finals appearance. The young Brazilian will now launch from 19th to 7th on the rankings. Today’s runner-up finish is Brazilian Caio Ibelli’s best ever result on the CT and it takes him to No. 7 on the Jeep Rankings. The second Semifinal saw Smith eliminate Lau from the draw after an intense clash. Lau had been on a tear all day, even eliminating 2017 World Title contender Filipe Toledo (BRA) on his way to his best-ever result on the Championship Tour. With a 13th place result on the Gold Coast and 25th at Margaret River, Lau will now climb up to 11th on the Jeep Leaderboard. CT Rookie Ezekiel Lau (HAW) finished Equal 3rd at the 2017 Rip Curl Pro Bells Beach, a great finish to his first Australian leg as he now sits in 11th on the Jeep Rankings. Although he was knocked out of the event in the Semifinals by eventual runner-up Caio Ibelli (BRA), reigning WSL Champion John John Florence (HAW) will retain the Jeep Leaders Jersey on his way to defending his event title in Brazil next month. Florence showed just how ruthless the competition is on the elite Champion Tour is with two narrow wins over three-time WSL Champion Mick Fanning (AUS) in Round 4 and the Quarterfinals. Four-time event winner Fanning charged down massive sets to showcase his sharp, aggressive maneuvers and earn some of the highest wave scores of the day, including an 18.86 in Round 4. Unfortunately, Fanning was not able to combat the 24-year-old competitor and will leave with a 5th place finish, his best result on the 2017 CT thus far. A heated Round 5 showdown saw Fanning eliminate good friend Owen Wright (AUS) from the event. The two Australian veterans battled with big scores, including a near-perfect 9.10 from Wright and a masterful 9.60 from Fanning. With Fanning in the lead at the halfway mark, Wright needed a 9.18 in his final attempt but was not able to turn in the requirement and will say in second on the Jeep Leaderboard, now tied with Smith. 2017 CT Rookie Frederico Morais (PRT) was eliminated in the opening Quarterfinal by Ibelli. This is the rookie’s best result as a full-time CT competitor and he will move to 19th on the Jeep Leaderboard. With early exits from the first two events this season, Morais’ comeback at Bells will put him in a great position heading into Rio. The next stop on the 2017 WSL Championship Tour is the Oi Rio Pro in Saquarema, Rio de Janeiro, Brazil from May 9 – 20, 2017. The event will be broadcast LIVE via WorldSurfLeague.com, the WSL app and on Facebook LIVE via the WSL’s Facebook page. Also check the local listings for coverage on CBS Sports Network in the U.S., Fox Sports in Australia, ESPN in Brazil, Sky NZ in New Zealand, SFR Sports in France and Portugal and as part of the EDGEsport Network.